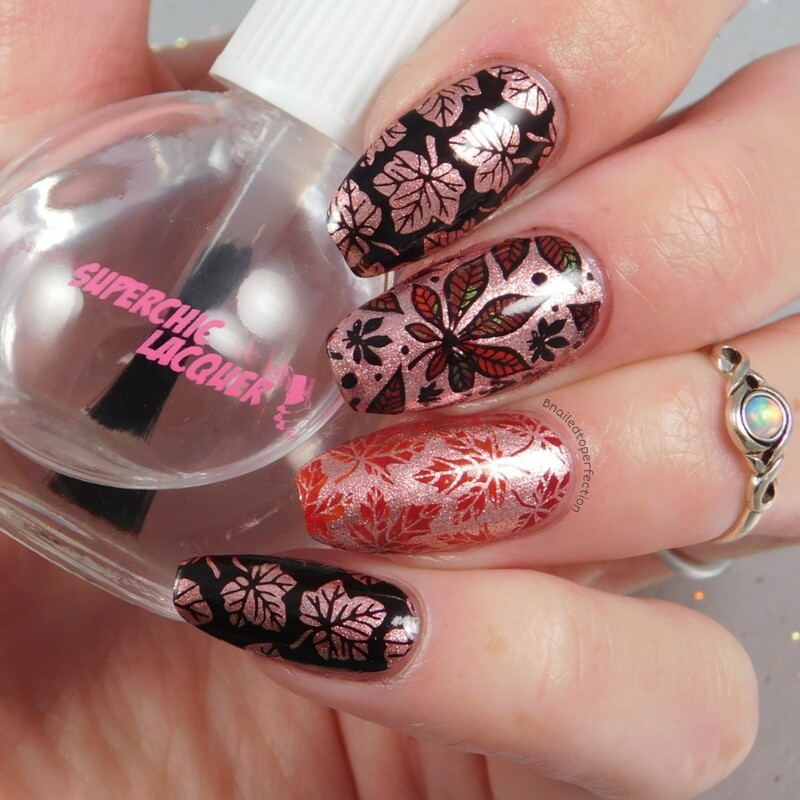 Today's review is another What's Up Nails plate and it's B021 Autumn Tales. This plate has got everything from leaves, to acorns, to foxes and even cute hedgehogs! Just look how well the images has stamped! Now I would call that practically perfect! I used the Tiffany Duo stamper from Nail-Artisan. 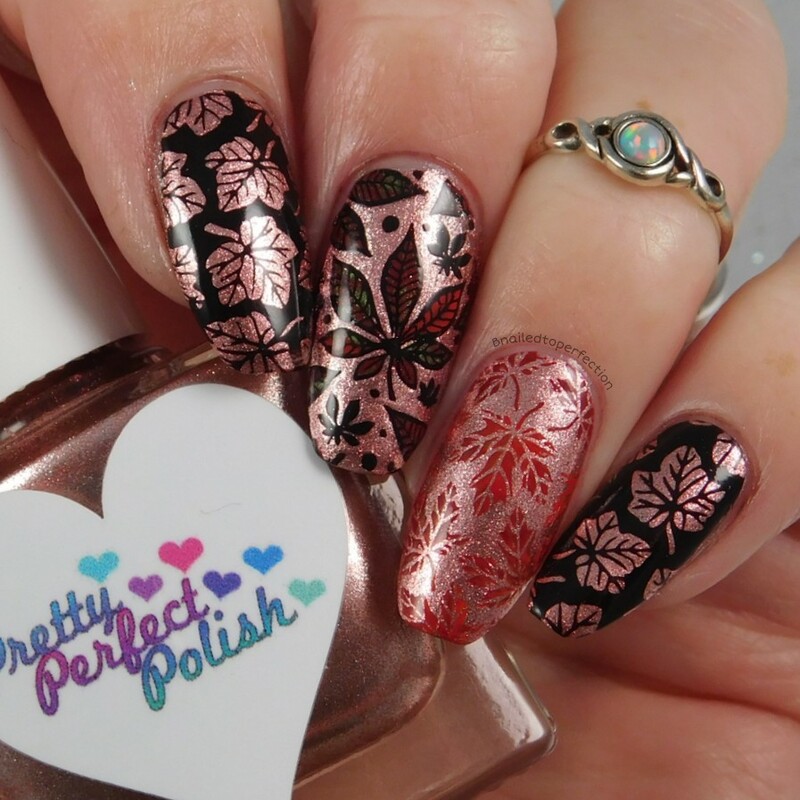 The base colour I used was For The Love of Rose from Pretty Perfect Polish. The most stunning rose gold and perfect for Autumn manis. I used a variety of images from the plate and also did some advanced stamping with the images on my middle finger. Don't you just love a good Autumn plate?! 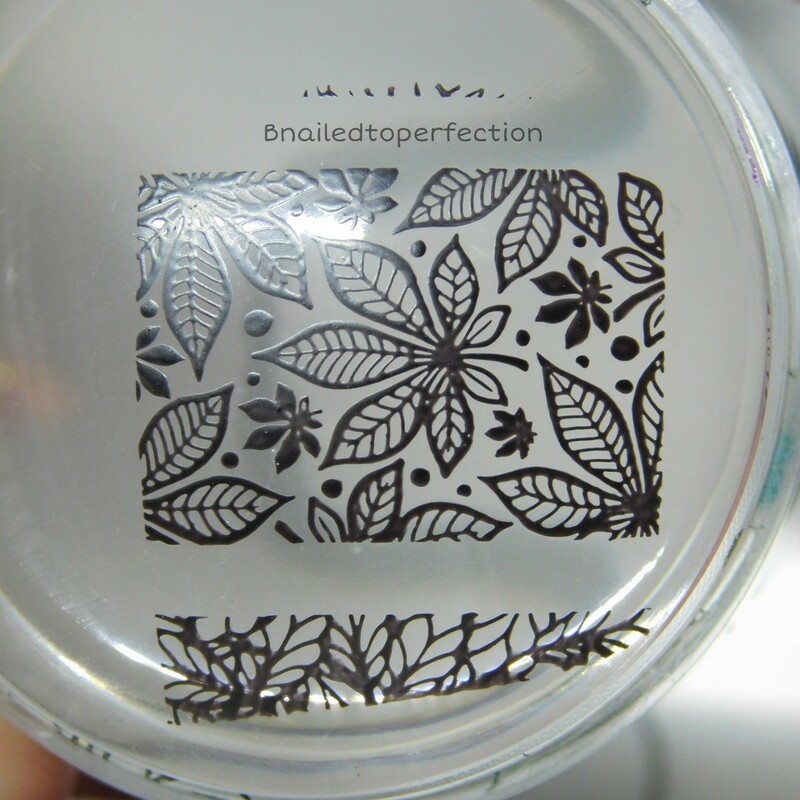 You can get What's Up Nails plate directly from their site or from Nail-Artisan in the UK.